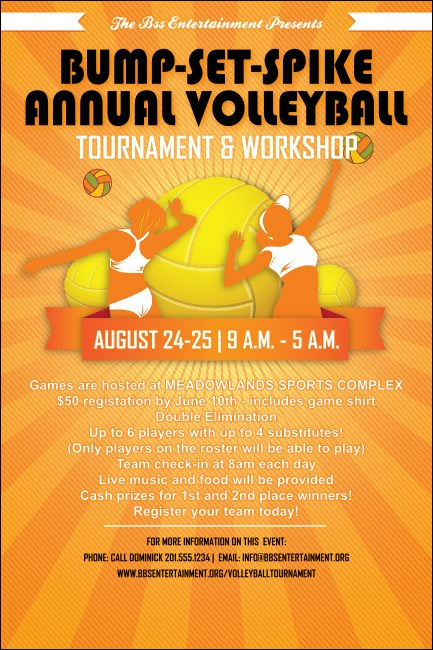 Warm-up your pre-event promotions this summer when you print Volleyball Sun Rays Posters and post them in advance. With room for seventeen lines of text, you can include all your sporting event details on a glowing orange background along with the image of two players ready to make a great serve. Ace your event promotions with TicketPrinting.com!